It’s near impossible to write about poor, distressed, marginalised and farmers, who broadly constitute rural India, in this country. BHUBANESWAR: It’s near impossible to write about poor, distressed, marginalised and farmers, who broadly constitute rural India, in this country. It’s very difficult to talk about their issues on a daily basis. Anybody who challenges the Government is levelled as a Maoist, an Urban Naxal and anti-national, says acclaimed author and political commentator Kota Neelima. The state of the country and the ordinary and marginalised people needs to be researched, contextualised and communicated for a democracy to be able to correct its course constantly. 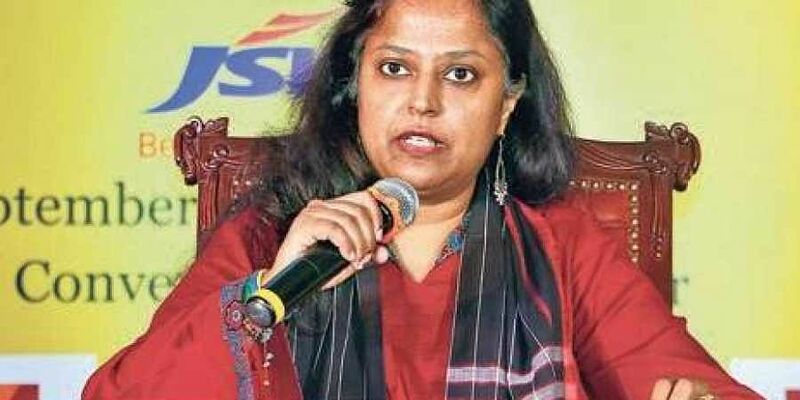 Without such revision of the path, a democracy has no purpose and may even be undemocratic, she said while speaking on the sidelines of aOdisha Literary Festival-2018 organised by The New Indian Express. Over the past two decades, Neelima has been working on the issue of farmer suicides and its causes. To find out the facts which were conveniently ignored by mainstream media, she travelled from Vidarbha in Maharashtra to Punjab, Telangana, Madhya Pradesh and Chhattisgarh, stayed there for a few weeks on and off and interacted with farmers. “The wealth dictates what makes news in this country not the poverty. The people, who don’t have wealth, are kept out of media and publicity. It’s as if only the wealthy and rich can only speak. The Government and political parties deal with farmers like patrons, deciding who does and doesn’t deserve support. The question has to be asked: Is it really a democracy where the rich get what they want and the farmers commit suicide because he is invisible to the state?, she asks. Her fictional work ‘Shoes of the Dead’ has been chosen by award-winning film director Vetrimaaran as the subject of his upcoming film. Neelima is also an artist who creates oil on canvas paintings that have been showcased at exhibitions around the world. “I write what I cannot paint, and I paint what I cannot write,” she says. Neelima is currently researching in Odisha, Karnataka, Telangana and conflict areas like J&K for her next books. On future goals, Neelima says she is exploring a subject called ‘Periphery’. “For example, if we take up agriculture, all the policies are designed with the assumption that a farmer is a man. In most cases, if not all, a woman is not at the centre, she is at the periphery,” she says.